Alexis, left, and Karis Cao created their family fun show on YouTube over the summer. They appear on camera while their father, Tay, works behind the camera and edits the clips. In less than a week's time, Philadelphia could be celebrating its first-ever Super Bowl victory. The jubilation on Broad Street would simultaneously lift the heavy burden of long-suffering fans and leave an indelible impression on young people for the rest of their lives. You'd think that with so much on the line, the people of Philadelphia would know who plays quarterback for the Eagles. Enter Karis and Alexis Cao, fourth- and second-graders at South Philadelphia's William M. Meredith Elementary School. They and their father, Tay, recently launched a YouTube channel, Cao's World, to give the girls some multimedia experience and let them get involved with a platform they love. 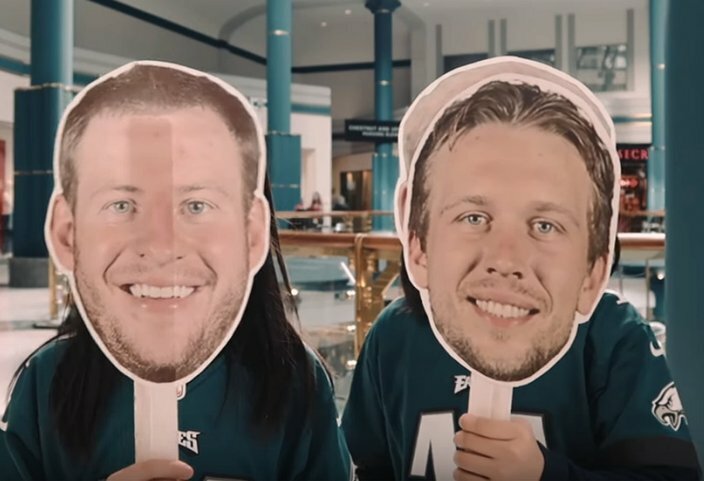 Karis and Alexis decided to play a sly prank on Philly fans by capitalizing on the uncanny likeness Wentz shares with Prince Harry. The result is a series of Eagles fans falling hard for the bait. The sisters laughed Monday night in an interview with PhillyVoice. "Of course, I didn't think they would know we were playing a trick," said Karis. "I thought they would all laugh and know the quarterbacks," added Alexis. "It was funny." 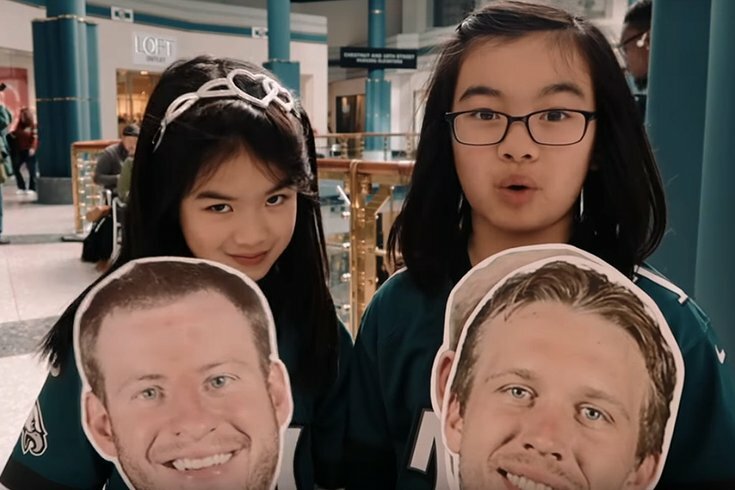 The Cao sisters took their family fun YouTube show on road to ask Philadelphia Eagles fans, “Do you know you're quarterback?” The results were hilarious. Tay is the owner of South Philly's upscale Le Viet restaurant. He said he's not sure how far Cao's World will go, but he knows it will be a great way for his family to spend quality time together. "We've been releasing new videos every Tuesday or so," Tay said. "We're going to try to do one more before the game. We're having a fundraiser at the restaurant and we'll have all the kids sing the Eagles fight song." As for the Eagles, Tay said he's waited his whole life to see them win a Super Bowl. He predicted a tight game with Eagles coming out on top by a score of 21-17. Karis (24-21) and Alexis (28-21) have no doubt in the Eagles, even with Nick Foles at quarterback instead of Wentz or Prince Harry. "Carson Wentz is a great quarterback and it's a shame he got hurt, but it's good that Nick Foles has this chance," said Karis. "I think the Eagles will win."